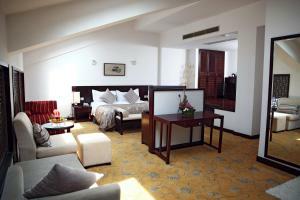 Garden Hotel Suzhou is a luxurious hotel which used to be the private garden of Mr. Chiang Kai-shek. Appointed as the residence for state guests by the Suzhou Government in the past decades, the property served hundreds of national leaders. Featuring a typical Suzhou-style garden covering 48,000 square metres, the charming property offers a restaurant, an indoor pool and a fitness centre. Free parking and in-room internet are both available. 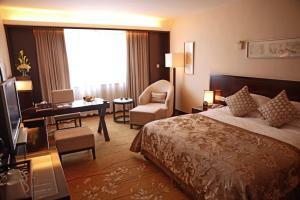 Garden Hotel Suzhou is an 18-minute-drive to Suzhou Railway Station. Suzhou North Station can be reached in 36 minutes by car. 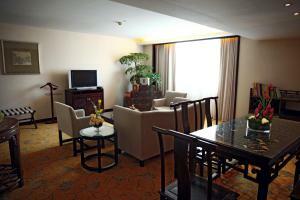 Ideally located, it is steps away from Master of Nets Garden and 1 km from Guanqian Street. Air-conditioned guestrooms are carpeted and soundproofing, offering spacious interiors with modern designs. Each room comes with ironing equipment, a minibar, a refrigerator and a flat-screen TV with cable channels. 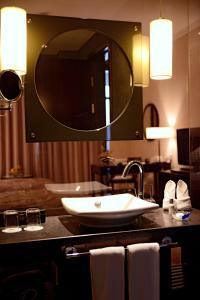 In the private bathroom, guests will find a hairdryer, showering facilities and slippers for their comfort. A garden is attached to this property and guests may have a nice walk. Guests can enjoy a massage service or a game of tennis at the on-site tennis court. The staff at the tour desk can assist with making travel arrangements for guests who wish to explore the city. Bicycle rental and car hire will be provided upon guests' request. Laundry and dry cleaning services are offered. There is a charged shuttle bus as well. For disabled guests, special facilities are available. The buffet restaurant serves a wide range of delicious Chinese cuisines. Drinks and light meals can be found at the Coffee Bar. Rate: CNY 902.43 ... CNY 922.62; select dates below to get current rates. 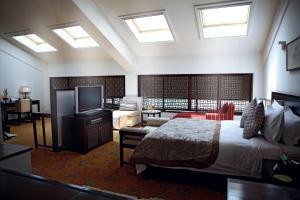 This suite includes a living room, a bedroom and en-suite bathroom. It offers a flat-screen TV, personal safe and minibar. 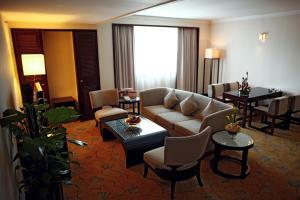 Spacious suite includes a living room and a bedroom. It offers a flat-screen TV, personal safe and minibar. The private bathroom comes with a bathtub and shower facilities. Rate: CNY 716.00 ... CNY 2107.00; select dates below to get current rates.